Today’s digital era sadly means that many of our precious photographs are left stored on computers, phones or tablets and are rarely seen again! With Huggler, they make it possible for you to turn those special moments into the perfect keepsake allowing them to see their full potential. Whether you choose to turn your photos into a personalised greeting card, photo diary or photobook, Huggler is the safe and secure place for you to store and an unlimited amount of photos for free when you sign up. 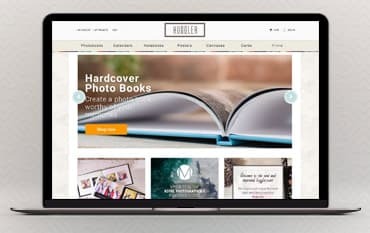 Huggler knows just how important your photos are to you which is why they give you the opportunity to store them all in one place where you know they’re safe. You can access your photos from anywhere in the world, create space on your devices and turn them into something special if you wish. Whether you’re gifting someone or looking for a keepsake, Huggler can provide you with something you can cherish forever. See what Huggler can do for you today for less with a NetVoucherCodes Discount Code and save at the checkout. A canvas is a special and beautiful way to bring memories captured to life and can create a stunning and bring those special moments caught on camera but lost on your phone, computer or social media to life in your very own personalised canvas. Each of our canvases is manufactured for you using the highest standards and the most up to date technology ensuring you not only get the perfect canvas but also that the quality and sharpness is there too. It couldn't be easier! You get to choose your preferred style, the size and a theme to suit the number of photos you have. All with ease using our bespoke software. Perfect memories deserve perfect preservation. All of our canvases are of course printed on top quality 260gsm polyester canvas material with a Matte finish, meaning they are not only beautiful and vibrant but also have that great canvas texture, are crack resistant and hard wearing. Huggler is designed to allow you to embrace your photos and go beyond capturing special occasions in your life. With their wide selection of vibrant, high-quality products, Huggler makes it possible for you to preserve all those precious moments into something you can treasure for life. Using a Huggler Voucher Code, you can expect to pay much less for your goods. Whether it be a Canvas, Poster, Photos Book, Calendar or even a Notebook, Huggler have got the right products to help you capture every memory!